In the kids Holiday in May we organize a kids workshop with textile artist and weaver Rosa Smits. Rosa is well known by her social approach in her work. The kids and Rosa will work together to create a woven object that can be used for playing. The workshop takes place on a nice spot in Westerpark. 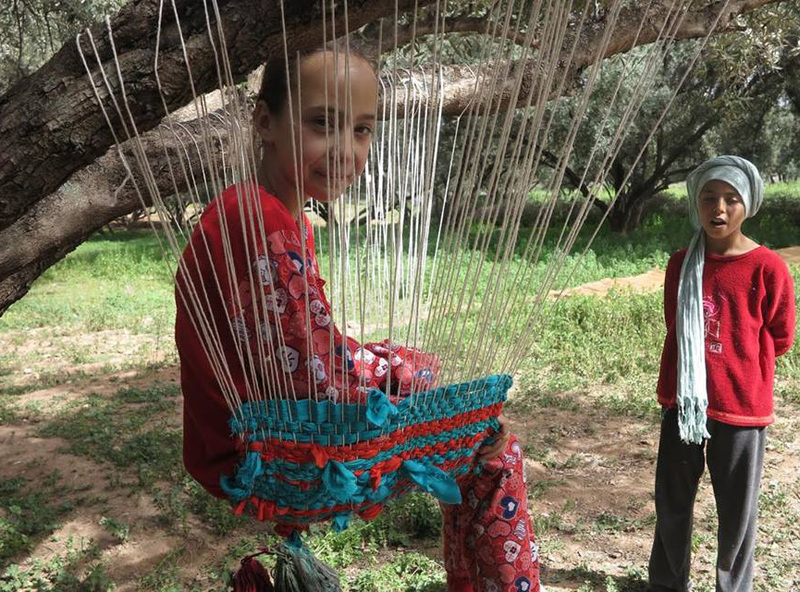 The focus of the workshops lies in recycling old cloth, yarn and other materials to create objects like, for example, an hammock in between the trees in Westerpark. Rosa Smits is a textile artist/designer who graduated recently from the Gerrit Rietveld Academie. She also has a background in fashion and she gets excited when different fields like textile, performance, philosophy and art overlap. She loves to travel and to learn about textile traditions and stories from different cultures. Weaving is her main medium to explore, and often she uses it during travels to connect to a place, the materials they have to offer and the people. Rosa is now a freelance artist/designer and she will give weaving lessons on a regular basis at de Steek. This is not the first time Rosa is hosting this workshop. She already hosted in one time in Beatrixpark and also one in Morocco. Read about her stories on the website here. The kids can dive in their own closet before they come to the workshop. They can bring their old clothes and other pieces from home that can be recycled. *If a lot of kids are interested, we will host another workshop in the afternoon.